Fuddruckers is an American fast casual, franchised, restaurant chain that specializes in hamburgers. 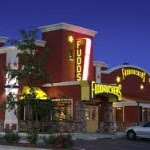 In 2011, Fuddruckers had 56 company-operated restaurants and 129 franchises. Fuddruckers is about The Worlds Greatest Burger, hot off the grill. Fuddruckers is about our Fresh Toppings Bar where you can finish your burger off exactly the way you want it with tomatoes, lettuce two ways, pickles, sweet relish, pico de gallo, hot peppers, banana peppers and onions. Steaming hot cheese, three kinds of mustard, mayo and ketchup ready to pile on your burger turning it into that creation that only you envision. To make the crispy onions, add the sliced onions to a large bowl and pour the buttermilk over top. Use your hand to submerge the onions in the buttermilk. Allow the onions to sit in the buttermilk 10-30 mins. Meanwhile add the flour, salt and a pinch of both cayenne and pepper to a bowl and give it a good toss. When ready to fry the onions heat a large pot of oil until it reaches 375 degrees or until a pinch of flour sizzles when sprinkled over the pot. Remove a handful of onions from the buttermilk and place them into the flour mixture. Coat the onions in the flour mixture, and then tap them on the inside of the bowl to shake off the excess. Carefully drop the onions into the hot oil. With a spoon, fiddle with them a bit just to break them up. Watch the onions closely as they cook quick! After about 1 or 2 minutes, they should be golden brown, remove from the oil and place on a paper towel-lined plate. Repeat with the remaining onion slices. Onions are best served right away, but can be reheated in a 300 degree oven for 5 minutes, watching them closely and making sure they do not burn. To make the whiskey glaze, add the whiskey, ketchup, soy sauce, honey, mustard, Worcestershire, cayenne and pepper to a small saucepan. Bring to a boil and then reduce the heat to a simmer. Simmer 5 minutes or until the sauce has thickened slightly. Keep warm over low heat until read to serve (or store in the fridge and warm before serving).To make the burgers, divide the meat into 4 sections. Place a cube of blue cheese in the center of each and then enclose the cheese in the meat forming 4 patties. Place the patties on a plate. Preheat the grill or a grill pan to medium high heat, once hot, season the burgers with salt and pepper and then grill until your desired doneness. About 4-5 minutes per side for medium rare. Remove the burgers from the grill and and cover with foil to allow the burgers to rest while you prepare the cheese sauce. To make the cheese sauce, heat a medium saucepan over medium heat. Add the butter, and once it’s melted and bubbly add the flour. Whisk together to create a roux and cook for 1-2 minutes until mixture gets a bit golden in color. Add the beer and 1/2 cup milk, stir and turn down heat to low. Continue stirring until milk thickens. Add in the cheddar cheese and continue to stir until mixture is smooth. If the sauce seems too thick, thin with more milk. Season with salt and pepper. To serve, place each burger on a toasted bun. Top with a good amount of whiskey glaze and cheese sauce. Add those crispy onions and then the top bun. Fuddruckers is celebrating the season with the introduction of its “Autumn in a Bun” promotion, which showcases a freshly grilled, half-pound turkey burger topped with the soft bite of crumbled blue cheese and a generous serving of house made cranberry and apple chutney. The specialty item is available at all 62 locations around the country through December 31st, 2013. And guests can complete their feast with a fall centric side of sweet potato fries for an additional charge. As with all Fuddruckers burgers, diners can choose between a sesame-topped, white or wheat bun baked from scratch on-site throughout the day to achieve the perfect combination of crisp crust and melt in your mouth texture. The legendary “Build Your Own” produce bar features fixings ranging from sun-ripened tomatoes and onions to pico de gallo, as well as an array of sauces to further customize a meal. 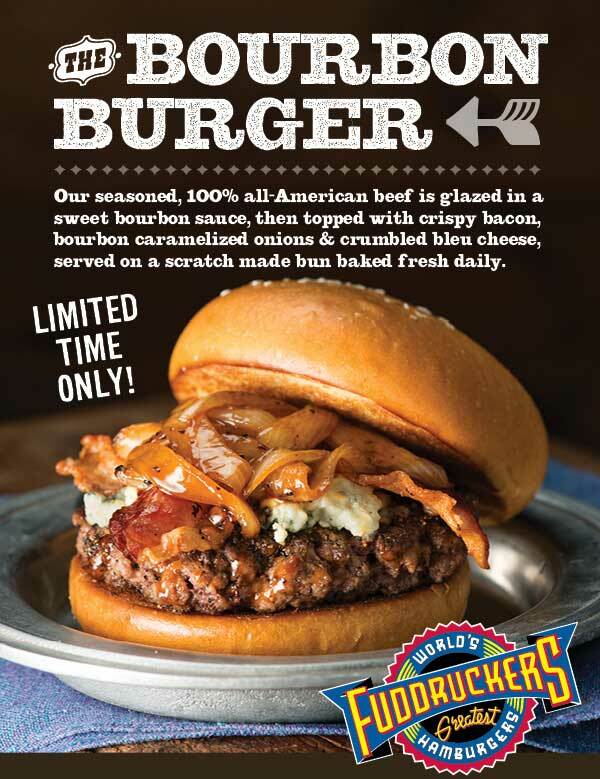 Fuddruckers recently announced that it will add a Bourbon Burger to its summer menu. 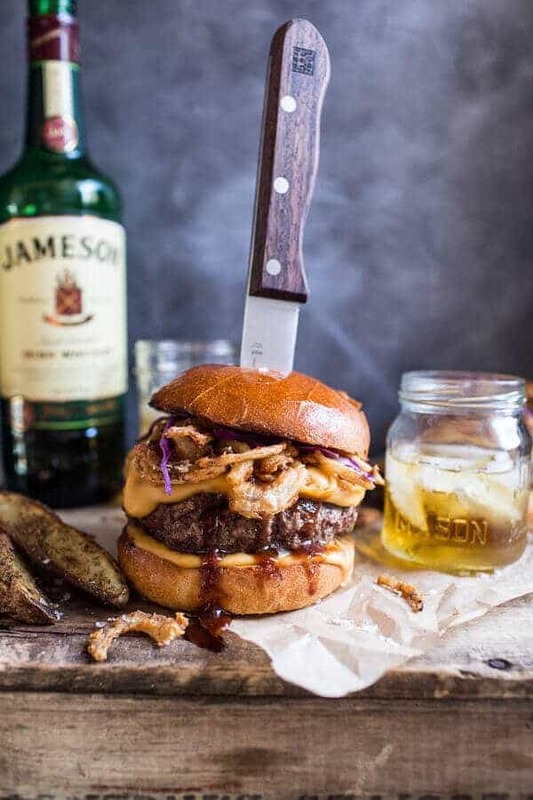 The Bourbon Burger features a seasoned, grilled to order beef patty glazed in a sweet bourbon sauce and is topped with bacon, bourbon caramelized onions and crumbled blue cheese. Fuddruckers is about our Fresh Toppings Bar where you can finish your burger off exactly the way you want it with tomatoes, lettuce two ways, pickles, sweet relish, pico de gallo, hot peppers, banana peppers and onions. Steaming hot cheese, three kinds of mustard, mayo and ketchup ready to pile on your burger turning it into that creation that only you envision. Copycat Recipes for items on the menu at Fuddruckers Restaurants.